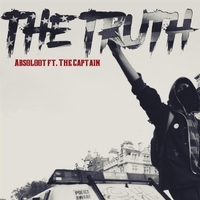 Hip hop artist “Absoloot” has delivered a new track titled “The Truth.” It’s very well produced and would be worth listening to even for the groovy musical arrangements alone. Absoloot’s pacing and tone flows well throughout. Despite the provocative title and cover, Absoloot’s political message comes across as rather nuanced, as he levels his constructive criticisms at multiple sides and doesn’t fall into the trap of cliched predictability. Regardless of your views on the state of current affairs in these tumultuous times, this is a great quality song, and the political message is conveyed in a manner that won’t rub you the wrong way if you don’t agree with parts of it. Expect this guy to continue to put out good material in the days ahead.